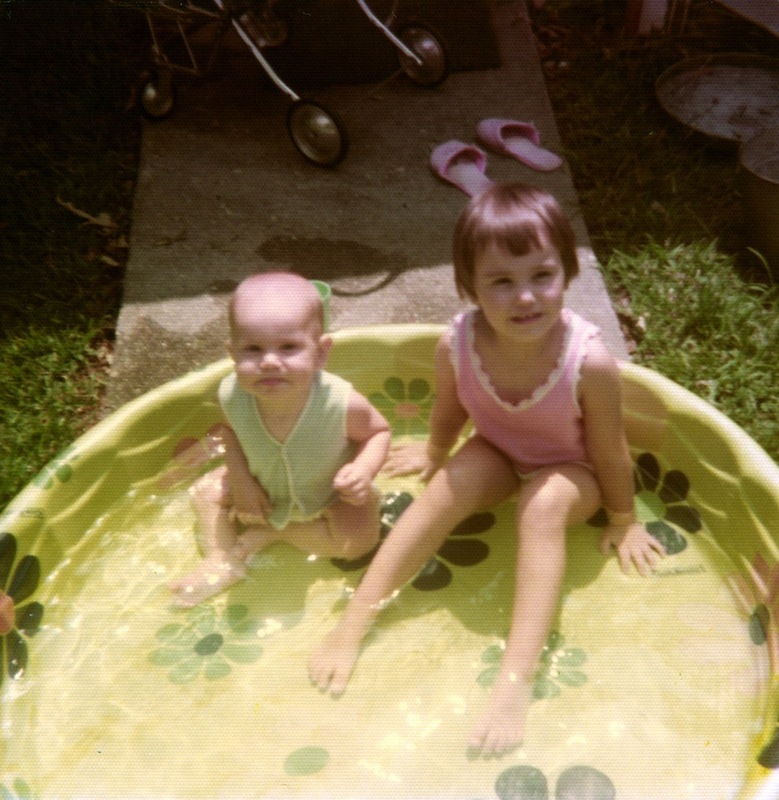 My brother and I take a dip, circa 1975. Nearly everyone I know who has kids spends tons of money and time striving to plan the perfect summer. A host of activities, from vacations to camp to traveling sports leagues, quickly pile up on this short stretch of calendar, seeming more like duties than recreation. My childhood summers were pretty unstructured. Maybe we’d take a dip in a tiny plastic pool, or maybe just run through sprinklers. Maybe I’d get to go with my grandfather early in the morning to pick tomatoes or beans, or — if I was REALLY lucky — I’d get to dig up potatoes. As I was shelling a small bagful of English peas from my CSA box yesterday, it occurred to me that some of my best summer afternoons weren’t spent waiting in line at Disney World, running to the next slide at a water park or shaking the sand off my towel at the beach. My most enjoyable summer moments were spent in my grandparents’ den, shelling peas or snapping beans, enjoying an episode of Woody Woodpecker or Tom and Jerry or, better yet, the carefree, Not Very Serious conversations that adults indulge in when they’re pleasantly engaged in a repetitive task with no real deadline. If I could choose one childhood moment to relive now, it would be one of these afternoons. I don’t think you can make memories like this on purpose; really, I think my grandparents probably thought I’d rather be off doing something else. But I do wish that more families would slow down a little this summer and spend a few afternoons doing a little of nothing together. It’s important, and it may be more memorable than anything you could possibly plan. Agree 100%. We’ve bought into the “quality time” myth, and while it is important to make your time count for something, especially if it’s limited; but it’s also important for all of usto have unstructured time to just be and become comfortable not being bombarded with stimuli. For some families, it’s probably about having the “perfect” summer. But for some, it’s probably more about childcare. If both parents work then who is home on all those carefree afternoons? My mom worked until I was 9 and our summers were packed with one thing after another and it was nearly a full time job for my mom to patch together enough activities to make sure we were supervised. I totally get what you are saying, I love those conversations and quiet time, but I don’t think it’s drive for “perfection” that’s preventing it. This is true … childcare can be tough, and the Alabama legislature just made sure that it’s tough for longer.